Today is South Australia’s “Proclomation Day”, our birthday, and a time for much rejoicing by many. On this day, 176 years ago, South Australia was proclaimed a British Province by Captain John Hindmarsh alongside the “Old Gum Tree” at Glenelg. The proclamation included the same protection, under the law, for the local native population as for the settlers although I’m sad to say that the enforcement of this law did not reflect the intent as described in the legislation. South Australia has a unique heritage. Unlike British settlements on the east coast of Australia, Tasmania, and Western Australia, South Australia was not a convict settlement and so tends to not attract the same interest nor fascination. My schoolday history lessons, in the 1950’s, were totally focussed on British history and Australian history was not part of the curriculum. Needless to say, the uniqueness of our South Australian history was never a part of my learning. It was only when accepted as a “mature aged student” to Tertiary Education in the late 1970’s (thanks to the Australian Labour Party and our Prime Minister Gough Whitlam) that I learnt about our unique South Australia history. As the years pass I still never fail to be fascinated by the origins of this planned “Utopia in the South”, nor of Edward Gibbon Wakefield who conceived the plan whilst serving three years in Newgate Prison for abducting Ellen Turner, a 15 year old heiress, and narrowly escaping a hanging or transportation. His simple plan was that instead of granting free land to settlers, as was the practice in other colonies, the land would be sold at a ‘suffient price’ and this money would then be used to provide free passage to labourers and their families. It was envisaged that after working for a few years these labourers would then be able to buy land for themselves. 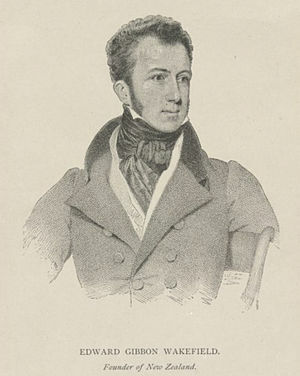 After being released from Newgate prison in 1830, Wakefield became involved in several attempts to promote his scheme for the colonisation of South Australia but as his influence waned he severed all connection with the scheme. 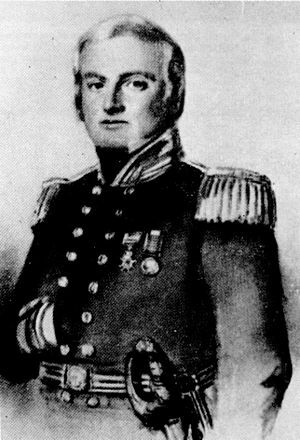 Robert Gouger, who was Wakefield’s secretary, then promoted Wakefield’s plan and the South Australian Association was formed. With the aid of several influential figures the British Parliament was persuaded to pass the South Australian Colonisation Act which incorporated Wakefield’s plan to devolp the colony with the best qualities of British society. The reality, however, did not match the ideals as land speculators moved in but Wakefield’s plan certainly gave the European colonisation of South Australia a different flavour to that of other Australian colonies . So today many South Australians will gather again under that “old gum tree” in Glenelg to remember and to celebrate the Proclomation, 176 years ago, of South Australia as yet another British Colony but with it’s own unique flavour. Copyright (c) 2012. Catherine Ann Crout-Habel. This entry was posted in Aboriginal Australians, Cultural Identity, Immigration and tagged Edward Gibbon Wakefield, Family History, Gough Whitlam, Immigration, John Hindmarsh, Old Gum Tree, Robert Gouger, South Australia by Catherine. Bookmark the permalink. Happy Proclamation Day! I enjoyed reading this post. It’s interesting to learn about the history of an area that I know little about. Thanks Sheryl. We certainly are “of like minds” because I SO much enjoy your blog with not only information from an unfamiliar area, but also a farming community as well as being from your Grandmother’s Journal of 1912… 100 years ago!!! Truly wonderful. I agree with Sheryl. Very interesting. It would have been interesting to see how things would have turned out if 1. The original idea of small family owned farms had succeeded and 2. If the Aboriginal people had been actually included in the proclamation. Our original Australians were included in the proclomation but adminstering the law was problematic for a whole heap of reasons, not the least of which was the vastness of the land. Toodle ooo for now. We in New Zealand share Wakefield with you as part of our history http://www.theprow.org.nz/yourstory/nelsons-early-settlement/#.Ur_VY_un4ox The first of my ancestors to come to New Zealand came to Nelson in those first few ships. WOW!! !… thanks for that info. So fascinating.